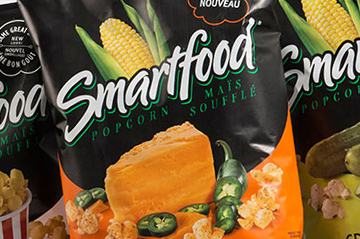 A range of unique package shapes and systems were developed in addition to label designs that could effectively connect with customers at store level. 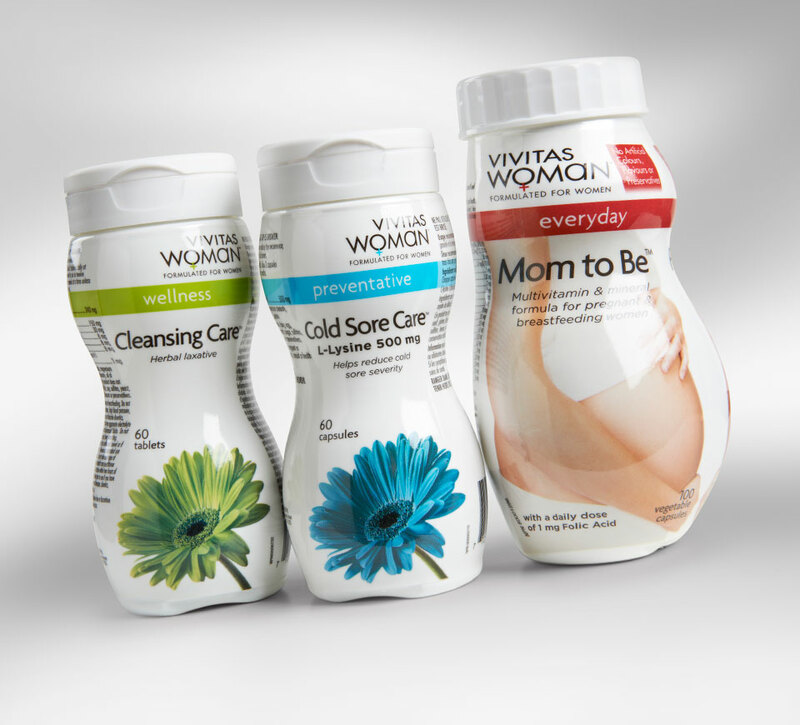 First in quality and innovation, Vivitas Woman is a leader in natural health supplements. Born of a need for effective supplements available at affordable prices, Vivitas embodies vitality and the healthy celebration of life. Vivitas is committed to producing the highest quality products using only the finest ingredients sourced from around the world. 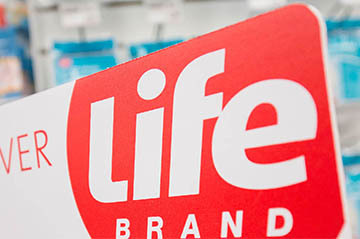 The Vivitas brand is distributed by Purity Life, a division of SunOpta. 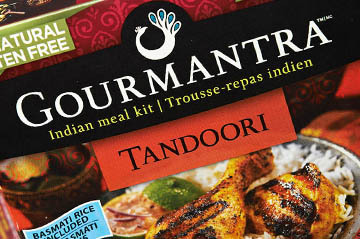 With a focus on healthy living, SunOpta is one of the world’s largest suppliers of organic and natural based products. In November of 2008, Shikatani Lacroix was enlisted to redesign the entire portfolio of Vivitas products and reinvent the brand position, for a launch date of March 2009. Connect with the consumer in the "blink of an eye"
For Vivitas, it was essential to have a strong understanding of the consumer’s attitude towards shopping this complex category. 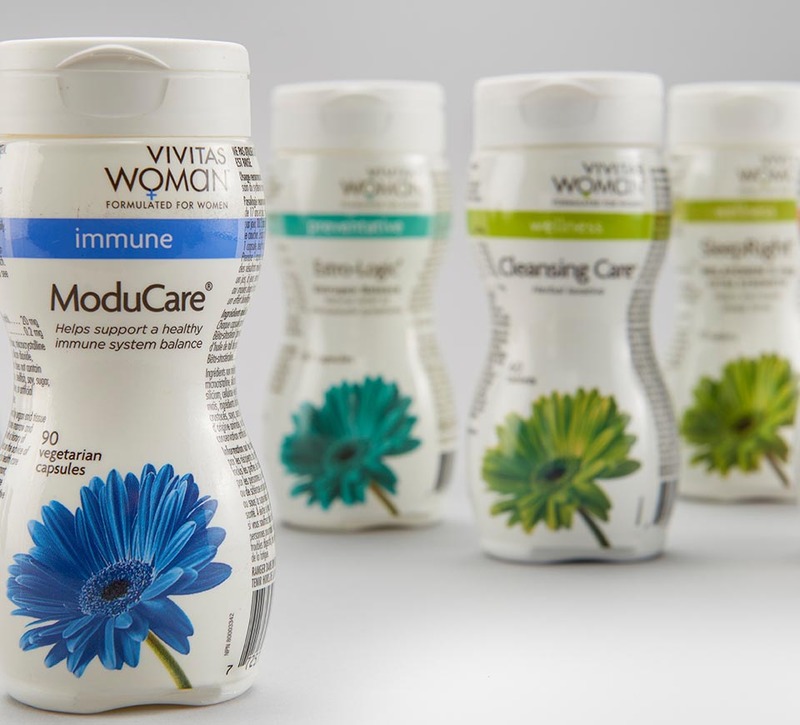 It was necessary to look at leading vitamin and supplement brands, especially those targeted specifically to women. This would allow us to identify positioning opportunities that Vivitas could own in order to create a clear point-of-difference within the category. The brand name needed to be explored and validated. 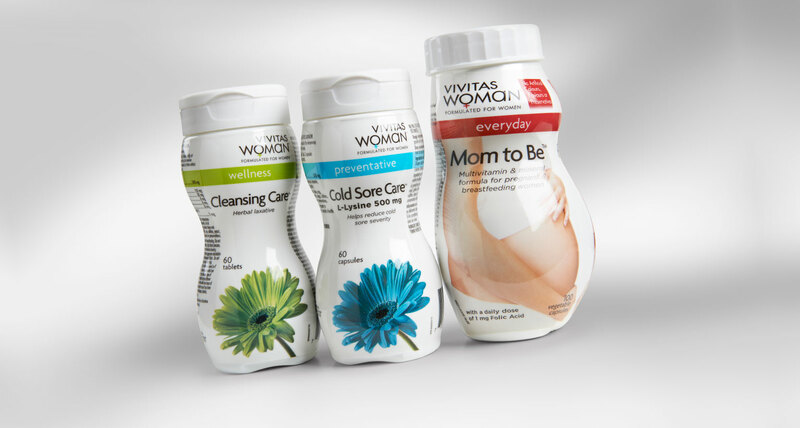 The family of products needed clear segmentation that women could relate to. Stronger hierarchy of communication needed to be established on pack. The brand position needed to be clearly communicated through every consumer touchpoint. 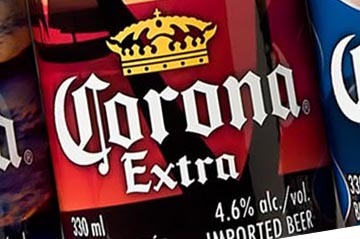 And since advertising and marketing investments were low for this brand, the role of packaging would need to play a critical role in communicating the brand. Finally, environmentally friendly alternatives needed to be explored. Shikatani Lacroix initiated extensive consumer research to understand the emotive needs of the core target group. 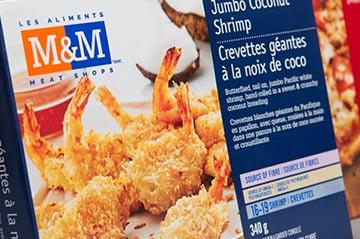 Based on these insights, Shikatani Lacroix developed a range of unique package shapes and systems, in addition to label designs, that could effectively connect with customers at store level. Through the use of research, the final solution was the development of a proprietary bottle shape with a full color shrink wrap. 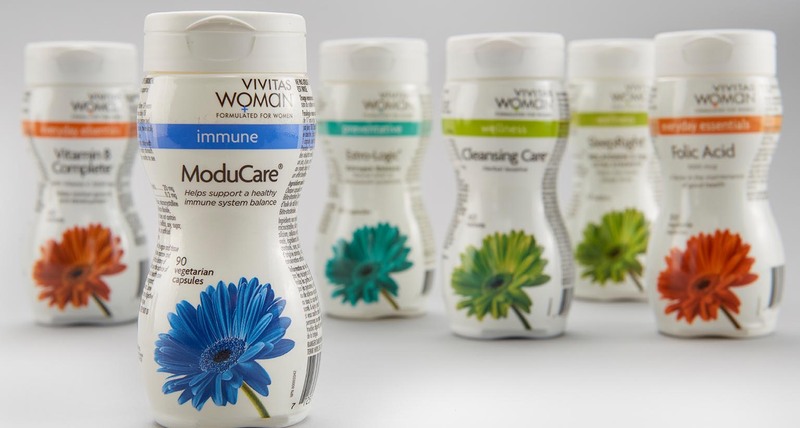 The design direction leveraged the contoured bottle structure with bright flower graphics for the supplements line and a pregnant bottle shape for the prenatal vitamin offering. The easy-to-use flip cap was both tamper resistant and user-friendly. 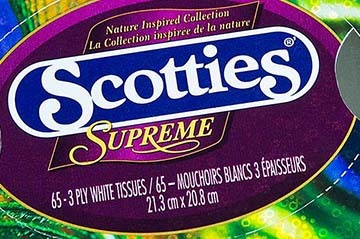 Through careful and thoughtful copy editing and maximizing space we were able to eliminate the outer carton, thus moving the brand to a more environmentally-friendly platform. 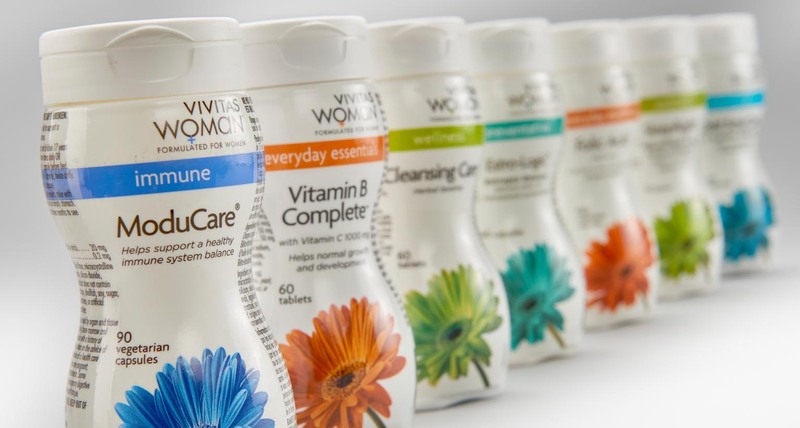 Although the design process did explore a wide range of potential names, the name “Vivitas Woman” was selected by consumers for its ideal fit with the brand promise. 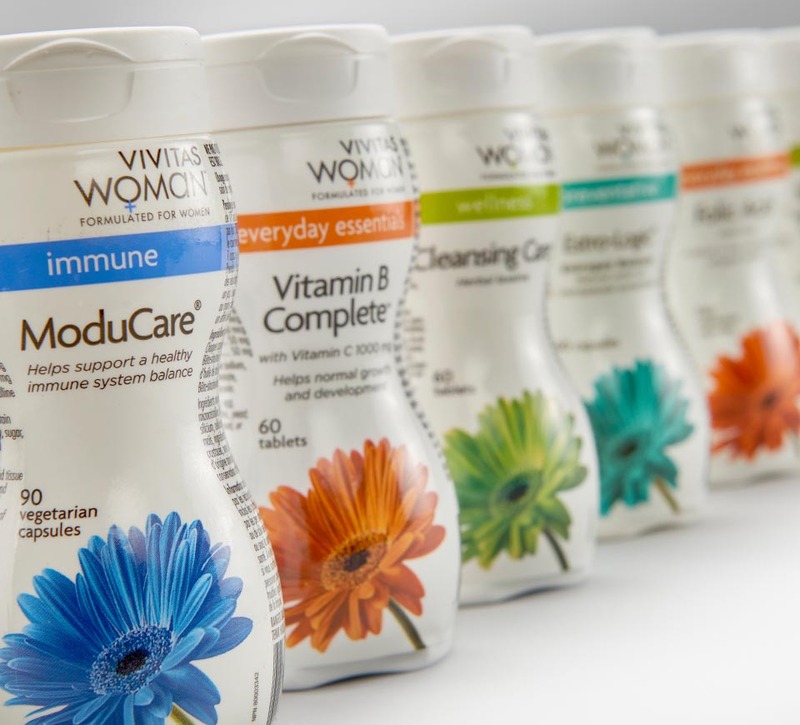 To simplify the confusion and decision-making process at shelf level, the Vivitas line of products was segmented into relevant categories that meet a woman’s health needs throughout every phase of her life. The naming convention for each category is based on the product benefit and a specific need state. Strong color coding was used to visually help in clearly segmenting each category on shelf. 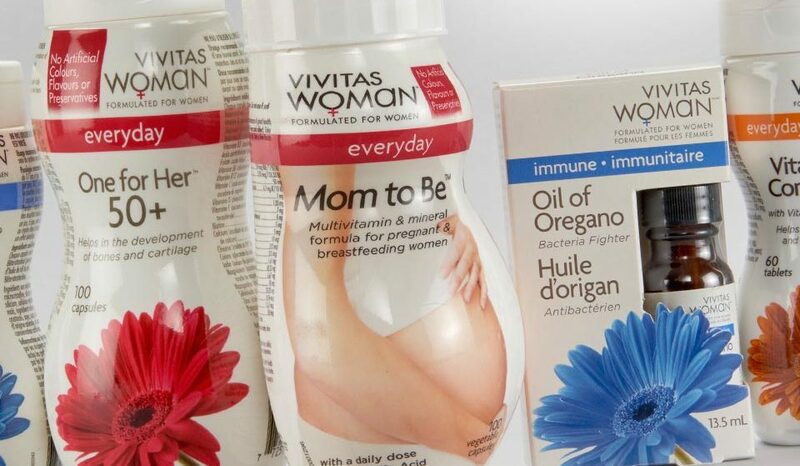 Vivitas Woman launched across North America through supermarket chains and drugstores. Initial sales results were extremely positive, with a target growth of doubling its sales within the first year.